When will be Alienators: Evolution Continues next episode air date? Is Alienators: Evolution Continues renewed or cancelled? Where to countdown Alienators: Evolution Continues air dates? Is Alienators: Evolution Continues worth watching? 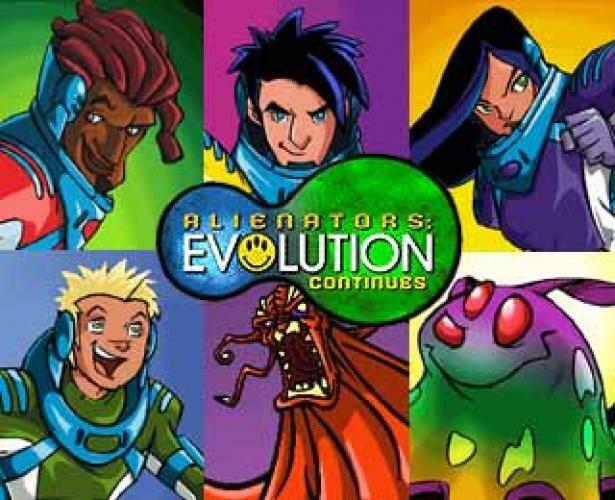 Alienators: Evolution Continues (known as Evolution: the Animated Series in the UK) is an animated television series based on the 2001 hit movie Evolution, and continues the adventures of scientists Ira Kane and Harry Block, and trainee fireman Wayne Grey, along with their new friends Lt. Lucy Mai and GASSIE, as they protect the Earth from dangerous monsters called the "Genus", led by the villanous Scopes. EpisoDate.com is your TV show guide to Countdown Alienators: Evolution Continues Episode Air Dates and to stay in touch with Alienators: Evolution Continues next episode Air Date and your others favorite TV Shows. Add the shows you like to a "Watchlist" and let the site take it from there.